Captain Clear is the leader in Phoenix Pool Service. Our professional Arizona pool cleaning staff are trained not only in pool cleaning, but in customer service. Captain Clear takes pride in knowing that we are the most professional phoenix pool cleaning company around. The Captain wants you to swim in a pool as clean and clear as the pool he swims in. 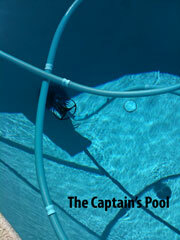 Captain Clear Pool Service is offering Phoenix Pool Service at a cost that makes swimming enjoyable. Full pool service starting as low as $89 a month, and Chemical only service starting as low as $39 a month. The Captain doesn't let his kids swim in an unsafe pool, and he doesn't want you to either. It is important to keep your pool clean, chemically balanced, and equipment in good working order. Captain Clear's online system allows you to see when your pool was serviced, what was done, and emails you when the service is completed. It allows you to schedule a touch up service before a family gathering or party. Our online system helps you keep track of when your filter was last cleaned or changed, DE system last back-washed or changed, and Sand filter last back-washed or changed. Schedule additional maintenance like pool light replacement, pump maintenance, filter change or cleaned, DE change or back-washed, or Sand replaced or back-washed. We started our Arizona Pool Service company after many attempts failed when trying to hire a good pool company to service our pool. We Offer: AZ Pool Service, Phoenix Pool Service, Scottsdale Pool Service, Pool Service in Chandler, Fountain Hills, Gilbert, Glendale, Mesa, Peoria, Cave Creek, Sun City, Carefree and Tempe. 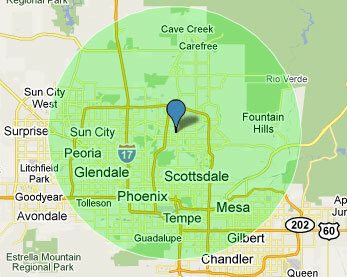 Please visit our Phoenix Pool Service page to see what type of services we offer. Family owned and operated. The Captain stands behind his work on Arizona Pools. Satisfaction is guaranteed. If you are not happy with the service provided on your phoenix pool service we will do what we can to make things right. Also visit our Google Places Pool Service Page to see our reviews.